REMEMBER: ALLER à la chasse - to go hunting AVOIR la chasse (slang) - to have the runs, toilet-wise! Love it or loathe it, (and I freely admit to being one of the latter) hunting has been going on in the Pyrénées Orientales since prehistory when Tautavel man caught lions on the plains of Roussillon with his bare hands. Around the middle of August, men with dogs and guns in fluorescent orange gilets hang notices from trees warning the public that La Chasse has begun. Cute and hairy bassets, griffons and beagles, bells around their necks, leap from the back of battered vans and set off through the under-growth to flush out the game. The lucky and much loved few may wear Kevlar vests to protect them against the dangerous tusks of the wild boar. Most of them are much less lucky than that! By mid September deer and moufflon, pheasant and partridge are also considered “fair game”. Luckily migrating birds are no longer on the list of permitted targets. The hunts are strictly controlled, each commune having its own hunt association. Permits are required and can only be used in the commune in which the hunter resides. It is possible to get day cards from neighbouring communes and outsiders possessing international hunting permits can also apply for a day’s shooting. Hunters must take a training course and pass a theoretical and practical exam organised by the National Hunting and Wildlife Agency before they may legally obtain a licence. They must also carry proof of possession of legally required hunting insurance. (Assurance obligatoire de responsabilité civile). You have a right to challenge them, and ask to see that their paperwork is in order – but do remember they are carrying guns! 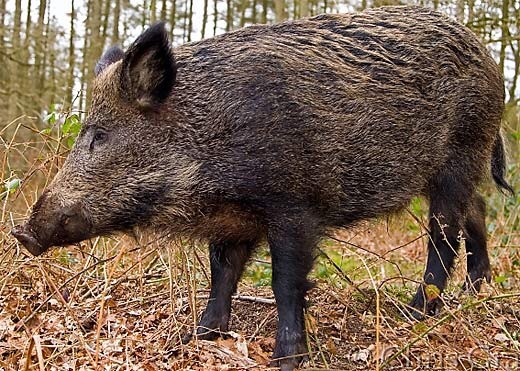 The wild boar (sanglier) hunts that have turned many a peaceful Sunday walk into a nightmare for innocent ramblers are called ‘battues’, so named to describe the beating of woods and bushes to force the game to flee in the direction of waiting hunters who encircle the area. The battue is potentially dangerous! A male boar can weigh in at 150 kilos and have fearsome tusks. 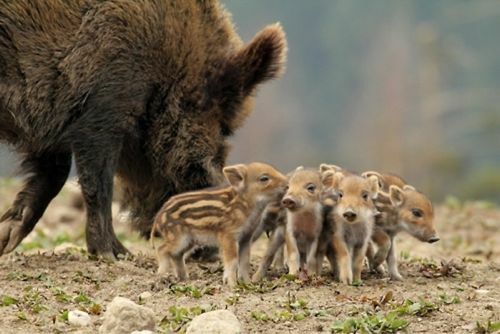 According to the French National Office of Hunting and Wildlife, the wild boar population in France is well over a million. 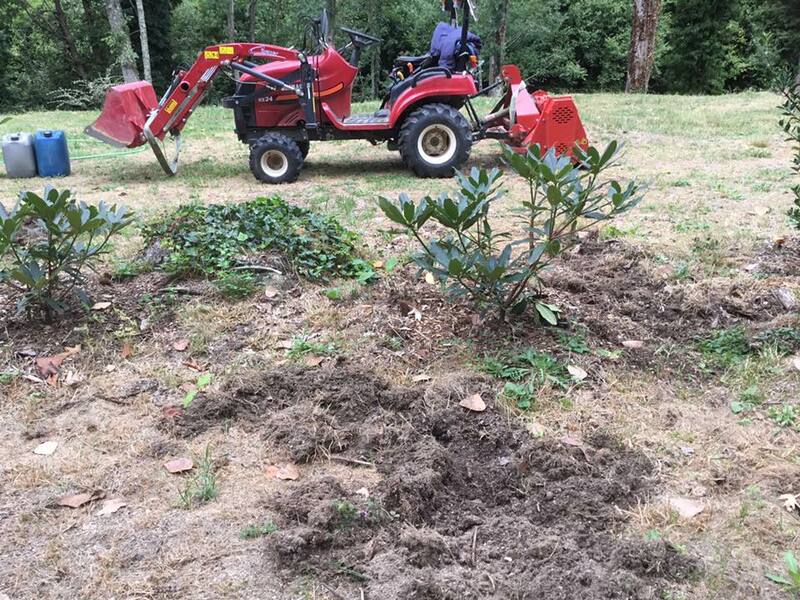 Many believe that hunters play an important ecological role in the maintenance and balance of the countryside by keeping down a wild boar population which is responsible for increasing damage to crops and our environment. More efficient fencing and intensive harvesting have been tried, but, so far, only hunting seems to provide effective damage control. The hunting season is often extended by a month or more, to generate money from the hunting permits, to be given to the farmers to improve their fencing and limit the rampaging boar activity. The word sanglier comes from the latin ‘singularis’, meaning singular, in the sense of unique and solitary. Whilst these large and powerful beasts are capable of causing a great deal of harm with their tusks, kept sharp for fighting off other males during the breeding season, the males are usually shy and solitary animals, and attacks on humans are rare unless cornered, frightened and defending themselves or their young. On the other hand, they are increasingly known to head for populated areas, rummage through rubbish bins, dig up lawns and even drink from swimming pools! But don’t panic. 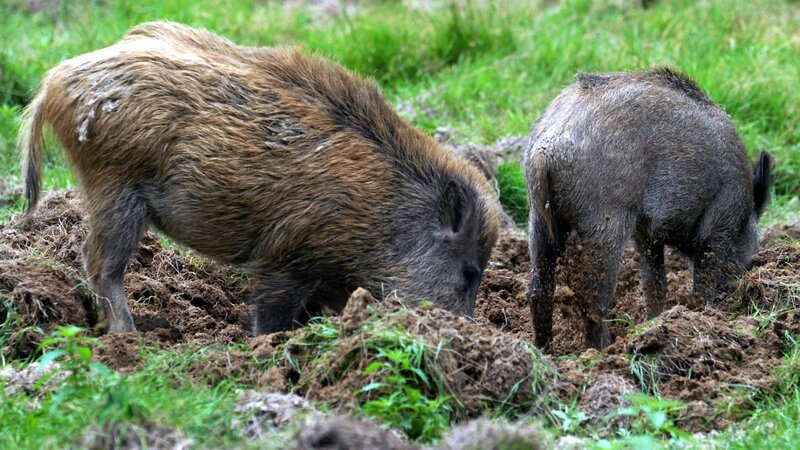 Boar are actually omnivorous, living mainly on berries, fruit, fungi, roots…. with acorns being a favourite treat, and whilst they will also root about in the soil for worms and insects, they have no yearning for the bitter flesh of angry little hunters! Of course, if you’re not keen on the killing, but like the idea of fun with a gun, why not have a go at the rather painful sounding ’ball trap’, (clay pigeon shooting) a sport which involves no blood, guts, pain and misery for anyone. Docteur, Docteur mon mari pense qu’il est un frigo! Mais ce n’est pas grave madame !